A new study claims that the humble red onion could help prevent heart disease reducing bad cholesterol. Onion may be smelly & hard by taste, but it has potentiality to keep your heart healthy. According to the researchers from the Chinese University, the vegetable red onion that is familiar to Mediterranean & Indian cuisine, removes bad cholesterol from the body, which can cause heart attack & strokes. The study conducted on hamsters, who had all been put on a high-cholesterol diet, found that their levels of bad cholesterol, or low density lipoprotein (LDL), was dropped by 20% after eight weeks. The researchers came with suggestion that Onions are known to 've many health benefits & the regular consumption of red onion reduces the risk of coronary heart disease. 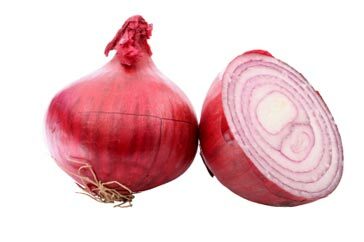 They claim that red onion is more effective for heart than white onion.